Sometimes, it seems there’s nothing else going on in my life except for the book. Then I think about other little things I’ve done…like the day I baked two batches of banana-blueberry muffins and five batches of traditional Party Mix. Today I went to the library and stocked up on movies so I can do a combo DVD and streaming Netflix binge for the next four days (I’ll be binge-watching the last season of Longmire and feeling sad when it’s over). I might even bake a couple of batches of cookies, just for fun. I have the best recipe for a sour cream sugar cookie! Should I share? Then there is the reading I’ll do between movies…I’m finishing Dust, the third book in the Wool trilogy by Hugh Howey. The stack of novels I want to read next is too long to list here. Rest assured, I have a lot to choose from. The rest of my life these days is all about the book. 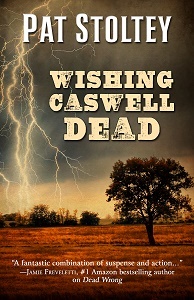 The ebook for Wishing Caswell Dead is now available on amazon.com and the hardcover should be shipping very soon. 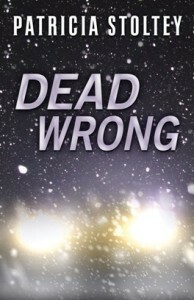 I’ve listed my guest blog posts, announcements, and the RMFW podcast below. If you especially enjoyed any of these promo efforts, please share the link on whatever social media site you prefer. In case I don’t post again until after the first of the year, may you have a joyous holiday season and may your 2018 be happy, productive, and full of sunshine and butterflies.